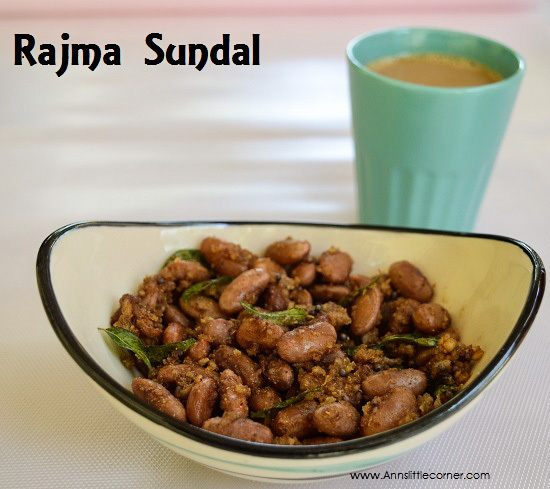 Soak Rajma overnight so that it becomes easy to cook. Drain the soaked water and add it into the cooker. Add required water and salt to taste. Pressure cook for 3 whistles or until the rajma gets soft. Heat oil in a frying pan. Add in mustard and allow to splutter. Add in the curry leaves. Add in the cooked rajma. Add in the Sundal spice mix powder. Add in coconut. Mix them well. Switch off the flame. 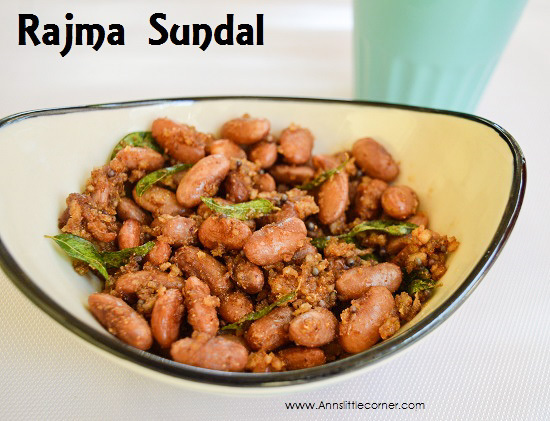 Rajma Sundal is now ready to be served. 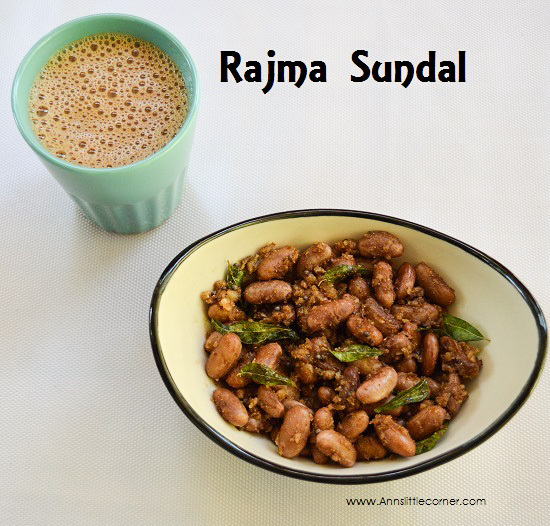 While cooking the Rajma make sure not to overcook, or it gets mushy. So then the sundal would not taste good. After adding rajma into the tampering mixture only cook in low flame. 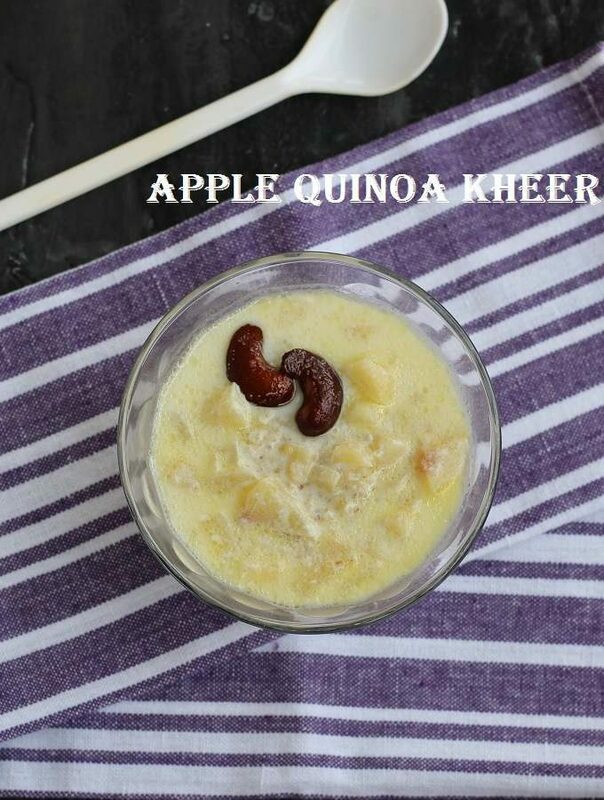 Protein rich snack is now ready to serve.